I was recently on a routine visit to a bungalow in Henfield, West Sussex when I discovered a trunk filled with the most remarkable collection of photographs, documents and medals relating to the late Major Robert Hobart Mayo, M.B.E., M.A. (Cantab)., Assoc. M. Inst. C.E. F.R.Ae.S., M. Inst. T. The collection sold for more than £10,000 including premium at Toovey’s. Major Mayo was the designer of the Short-Mayo Composite flying boats. He would become a consulting aeronautical engineer alongside some of the most significant moments in 20th century aviation history. Robert Mayo joined the staff of the Royal Aircraft Factory in 1913 and became head of the experimental department. He qualified as a pilot in December 1914 and went on to serve in the Royal Flying Corps in France during the First World War. On returning to England, he became Flight Commander in the Testing Squadron at Martlesham Heath and was personally responsible for the flying trials of a wide variety of new types of aircraft. In 1917 he was appointed head of the Design (Aeroplane) Section at the Air Ministry and he retained this post until 1919, when he resigned in order to take up Consulting Engineering. He was consulting engineer and technical manager to Instone Air Lines (later Imperial Airways) from 1923 to 1924. Robert Mayo became a prominent official in competition flying; he was a timekeeper for the Schneider Trophy Contest in 1929 and chairman of the Records, Racing and Competition Committee of the Royal Aero Club in later years. He flew over one hundred different types of aircraft and had a thorough knowledge of aircraft and engines used in various commercial services. 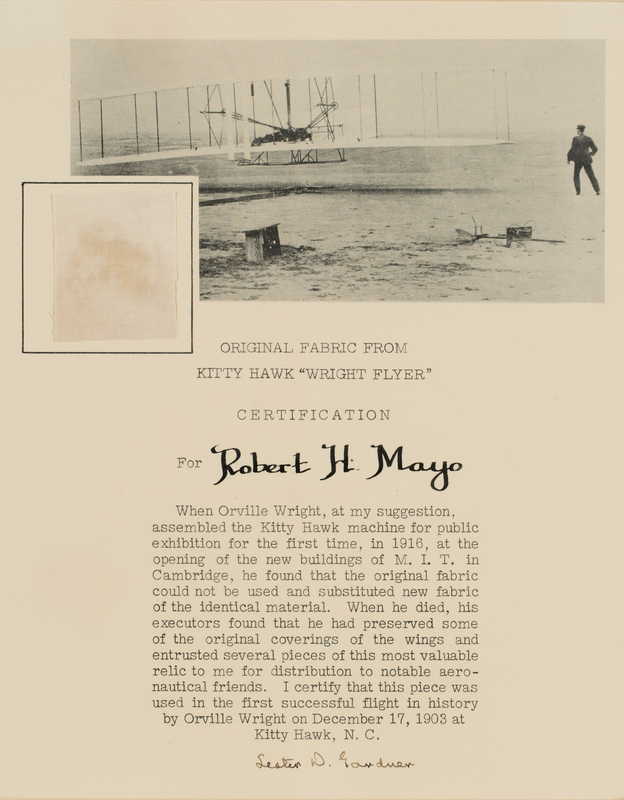 On the 17th December 1903 the Wright brothers, Orville and Wilbur, famously made the first controlled flight of a ‘heavier than air’, powered aircraft known as the Kitty Hawk. 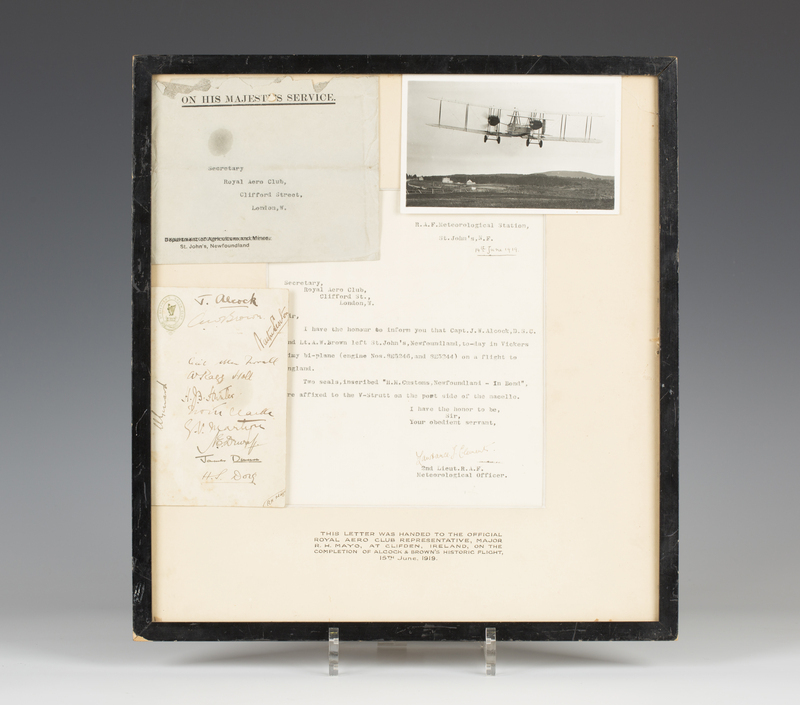 Amongst the highlights of the collection was a framed fragment of material used to cover the wings from the original plane with a certificate of authenticity from Robert H. Mayo. He writes ‘When Orville Wright, at my suggestion, assembled the Kitty Hawk machine for public exhibition for the first time, in 1916, at the opening the new buildings of M.I.T. in Cambridge, he found that the original fabric could not be used and substituted new fabric of the identical material. When he died, his executors found that he had preserved some of the original coverings of the wings and entrusted several pieces of this most valuable relic to me for distribution to notable aeronautical friends. I certify that this piece was used in the first successful flight in history by Orville Wright on December 17, 1903 at Kitty Hawk, N. C.’ It realised £2600. Technical advances in aviation continued at great pace. On the 14th June1919 John Alcock and Arthur Whitten Brown took off from Newfoundland in a converted Vickers Vimy bomber. They landed in Ireland 16 hours and 12 minutes later on 15th June 1919, having faced great challenges, to win the £10,000 Daily Mail newspaper prize for the first non-stop flight across the Atlantic. Robert Mayo had in his collection a gold engraved presentation match vesta, a letter and photographs relating to this first non-stop flight across the Atlantic which sold for £4000. These and objects like them bring history to life in a vivid and exciting way which is reflected in their values. 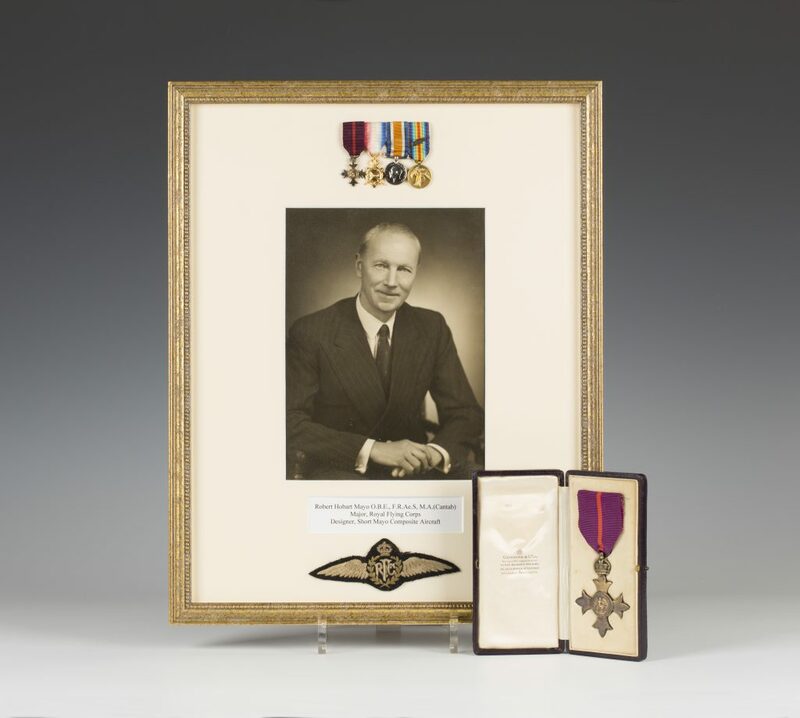 The spirit of courage, adventure and engineering inventiveness expressed in the life of Major Robert H. Mayo will continue to be told through the pieces from this extraordinary historical archive. 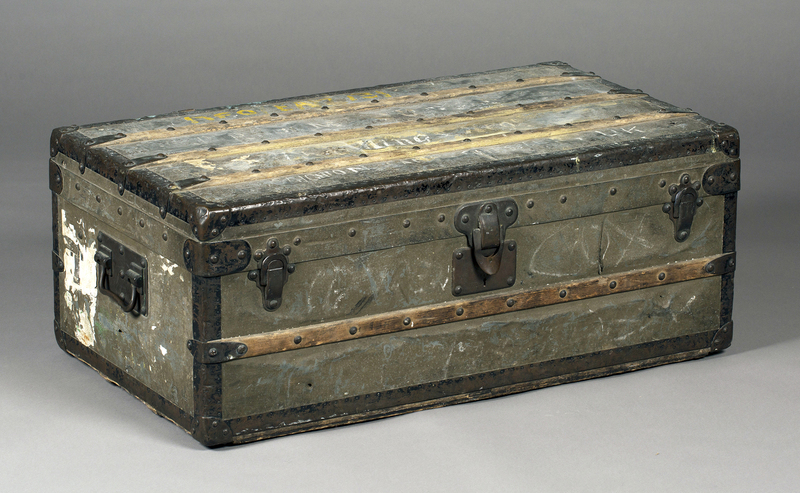 Advance notice: Consigned in our forthcoming sale on 6th October 2017, a rare Louis Vuitton zinc covered cabin trunk (malle cabine), circa 1895, the hinged lid and sides with brass trim, studs, side handles and locks, the top with three wooden slats above a single wooden slat to the front and back, the interior with original printed label numbered ’44’, length 88cm, height 33.5cm, depth 49cm (later painted and faults). Pre-sale estimate: £10,000-15,000. The best of British flair and engineering was celebrated at the 2017 Goodwood Revival. The international reputation of this annual automotive festival demonstrates the vision, professionalism and attention to detail of the Earl of March and his team, which keeps the motor racing enthusiast at its heart. Last week I found myself in the excellent company of fellow motor racing enthusiast and Director of the Shipley Arts Festival, Andrew Bernardi. 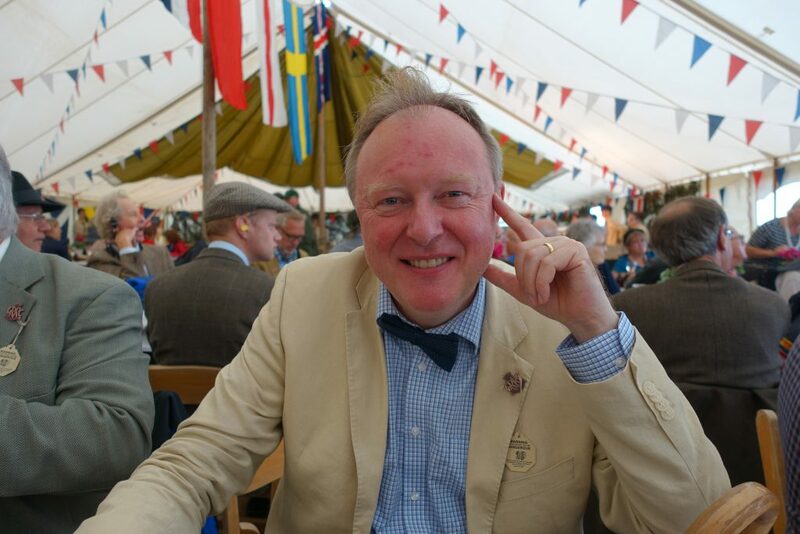 As we sampled the hospitality and Goodwood Ale in the GRRC VE tent we were transported back in time. The sound of happy voices competed with the bark of racing engines on the Lavant straight. Our spirits weren’t dampened by Friday’s wind and rain which added to the drama of this historic circuit. As I made my way over the Sussex Downs early on Saturday morning the sky had softened with scudding clouds and the odd flash of blue. I was looking forward to the racing and seeing the Ecurie Ecosse Parade. 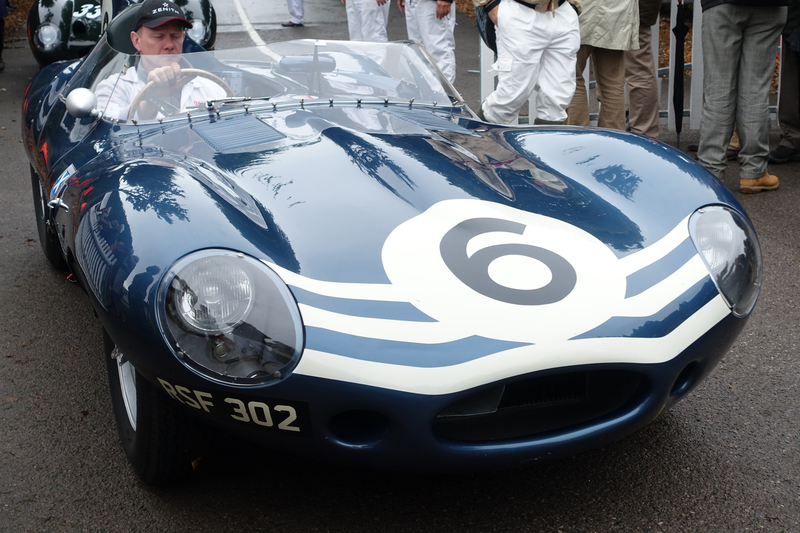 The 60th anniversary of the Ecurie Ecosse win at Le Mans in 1957 was being celebrated at this year’s Revival. This plucky team with its Scottish blue and white racing livery first won Le Mans in 1956. Driver Ron Flockhart won again for them in 1957, this time with co-driver Ivor Beub. The tiny outfit took on the might of Ferrari, Maserati and Aston Martin to win under the leadership of the Edinburgh wine-merchant, accountant and gentleman driver, David Murray. The reliability of his D-type Jaguars won Ecurie Ecosse the race, testament to the best of British engineering and flair. ‘Over the Road’ I ran into my old friends and fellow motoring enthusiasts Oliver and Alison Winbolt. Oliver has had a remarkable career in international automotive design and engineering and has worked for many leading marques including McLaren and Mercedes. 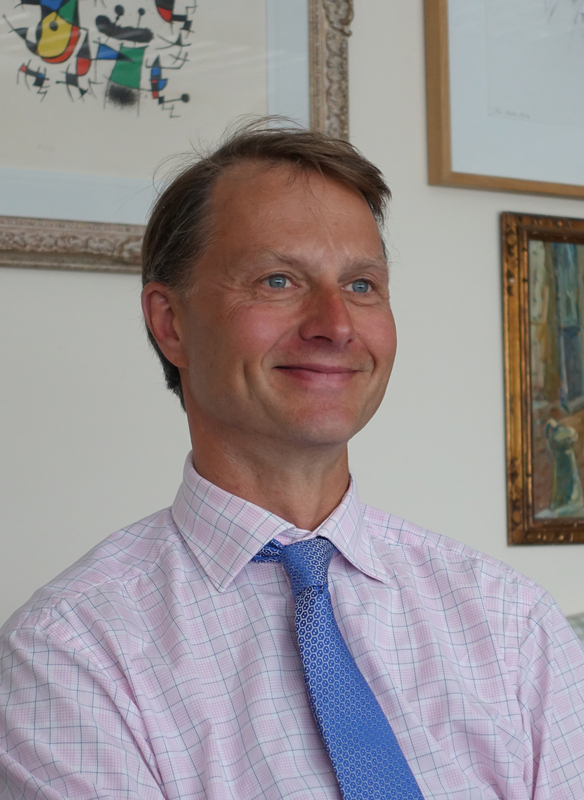 He is one of a cohort of talented automotive engineers and designers who emerged from the Sussex firm International Automotive Design (IAD) in the 1980s. Today he restores and rebuilds classic Jaguars for the discerning enthusiast. His firm, The Splined Hub, is based in Oundle, Northamptonshire but it is clear that he is delighted to return to Sussex. Their stand is a beautiful piece of set design which matches the drama of the Goodwood Revival with two exquisite customer E-Types and a Mk II saloon on display. 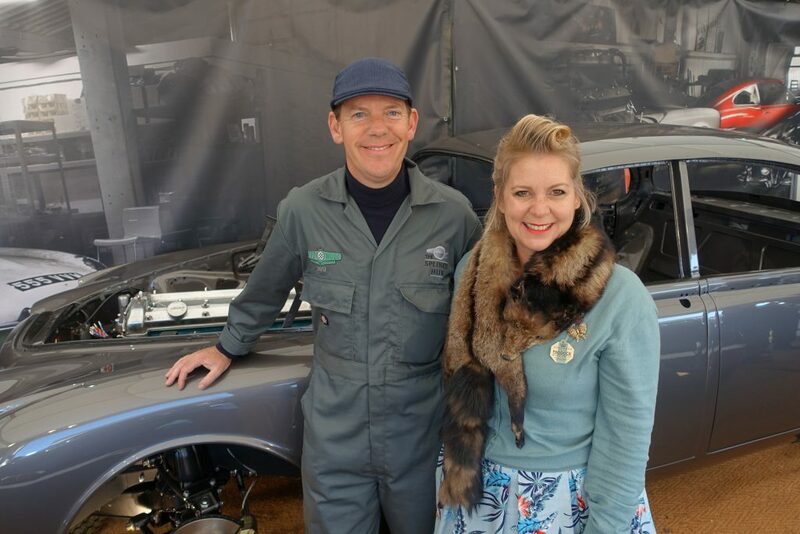 I am glad that the Goodwood Revival celebrates the motoring enthusiast whether they are participants or spectators, as well as the best of British automotive engineering old and new! As the smell of Castrol and the noise and drama of the motor racing fades from the Sussex autumn landscape we set out for home reliving the excitement of the weekend in our conversations and imaginations. To contact Oliver Winbolt go to www.thesplinedhub.co.uk. For more information on Goodwood’s motor racing events and to register for updates on the Goodwood Festival of Speed and Revival go to www.goodwood.com. This week I am in the company of Rowan Allan. 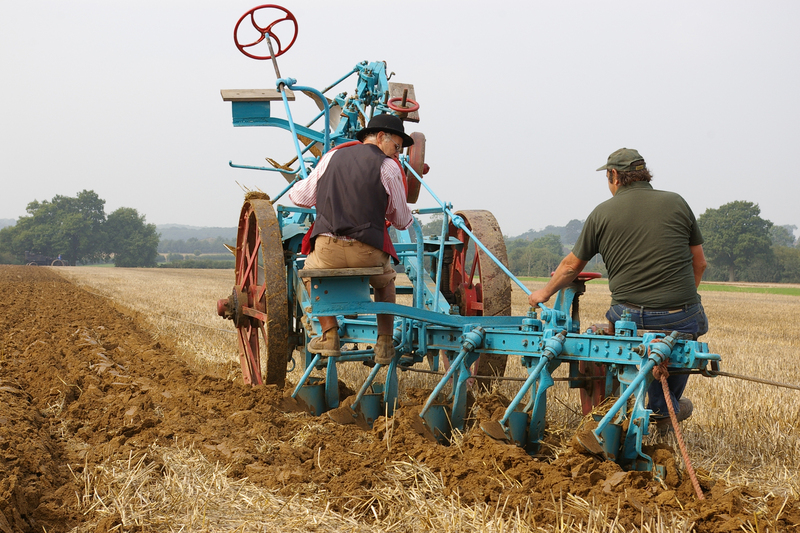 We meet as Rowan prepares for the 2017 West Grinstead Annual Plough Match and agricultural show, which takes place this coming Saturday 16th September 2017 at Weston’s Farm, Itchingfield, Nr. Horsham, RH13 0BD. comment that it can sometimes seem that life in the countryside is increasingly misunderstood by those living in towns. 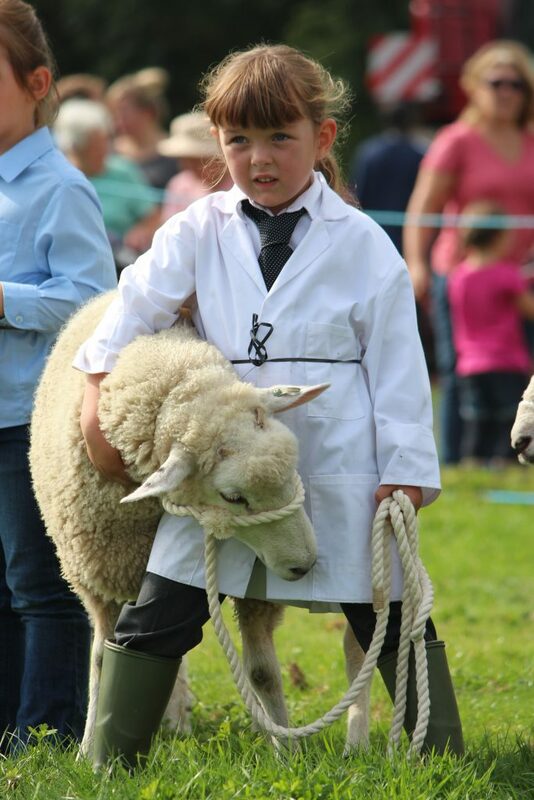 Rowan responds “We put on lots of activities like the young lamb handling classes at the show. They are an opportunity to connect those of us living in towns with the rural way of life.” The Society seeks to educate and make apparent how important the vital work of the farming and rural community is to our nation. Horsham’s MP, Jeremy Quin, is President of the Society this year. It is a hopeful thing that Mr Quin clearly understands that Horsham is at the heart of a rural community. This year’s show is being hosted by David Exwood at Weston’s Farm. David started with just a 100 or so acres and now farms more than 1500 acres. His success is down to his skill, resolve, hard work and the remarkable relationship he has built with Christ’s Hospital as a tenant farmer over many years. It is exciting to witness patronage like this of rural life and farming. David’s sons, Tom and Fred, have grown up on the farm. Tom is now working in the farming world and Rowan acknowledges the importance of looking beyond the current generation to the future. It is fitting that David Exwood and his team have been voted the overall winner of the ‘2017 Best Farmed Farm over 500 Acres’ by the Society in this strongly contested category. It is one of many awards made by the Society every year in support of farmers. The Society works tirelessly throughout the year to bring together, encourage and support this generous rural community and they deserve our thanks. 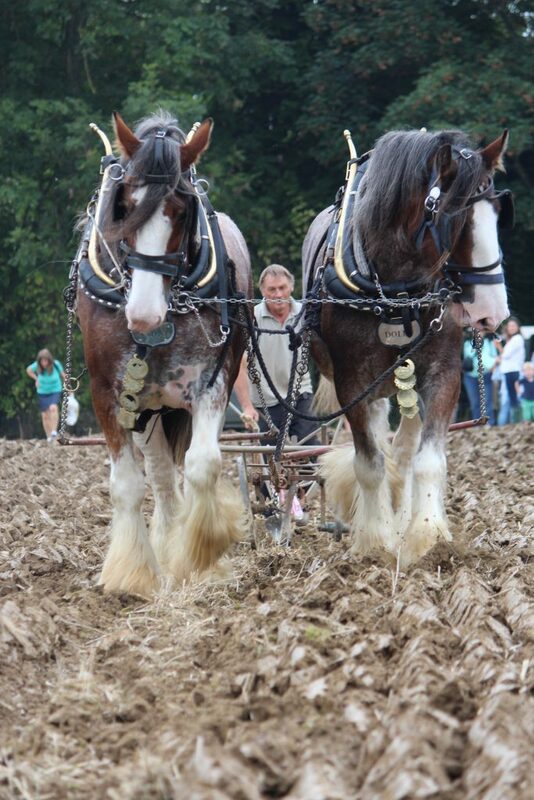 This weekend the ploughing match will be supported by displays, competitions, merry-go-rounds, traction engines, livestock shows and handling sessions – so much to delight the family. I hope to see you there! The 2017 West Grinstead & District Ploughing & Agricultural Society Annual Ploughing Match and Country Show is going to be a fantastic family day whether you are from town or country. Entry is just £6 per person with no charge for children under 14. For more information contact Rowan Allan at H. J. Burt through www.hjburt.co.uk or go to www.westgrinsteadploughing.co.uk. Those of us with children have been reliving that back to school feeling this last weekend and sharing memories as uniforms and books are laid out in preparation for the new academic year after the long summer holidays. Shared stories bind communities together. 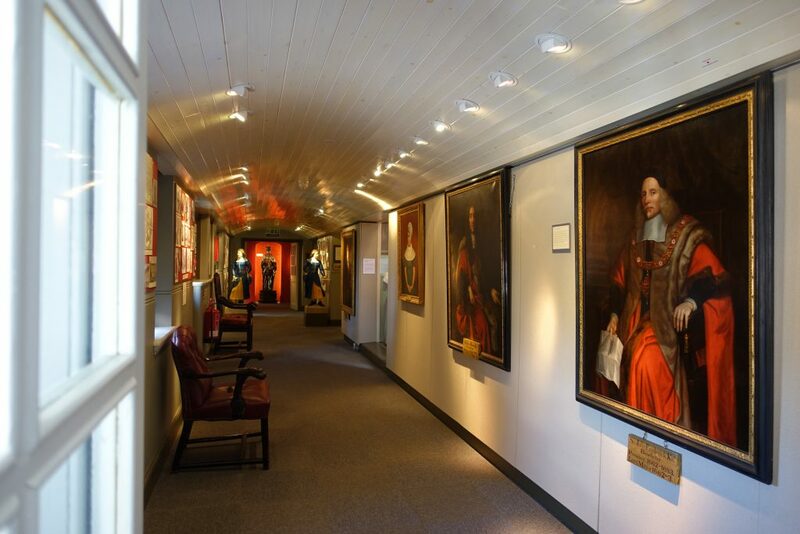 Christ’s Hospital’s story is encapsulated in its traditions and history and preserved in its museum, art and collections. The museum’s current exhibition ‘Christ’s Hospital in the 20th Century’ charts the school’s history during the last century and has been curated by Laura Kidner. Christ’s Hospital can trace its history back to 1552. Edward VI’s role as patron and founder was enshrined in a Royal Charter shortly before his death in 1553. It is said that the young monarch was inspired to help the poor of London by a sermon given by the then Bishop of London. The 20th century saw dramatic change for Christ’s Hospital. In 1902 it moved from its cramped London site, where it had been for some 350 years, to its current rural campus near Horsham. My eye is taken by a photograph in the exhibition. 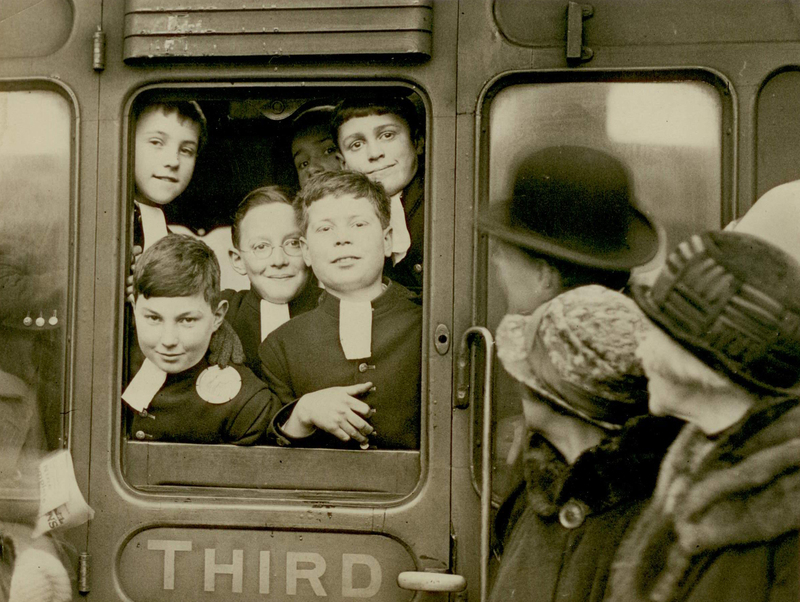 There is little sign of a back to school feeling in the faces of the boys on the train, rather they express anticipation and excitement as they set off for Christ’s Hospital Station, perhaps for the very first time. 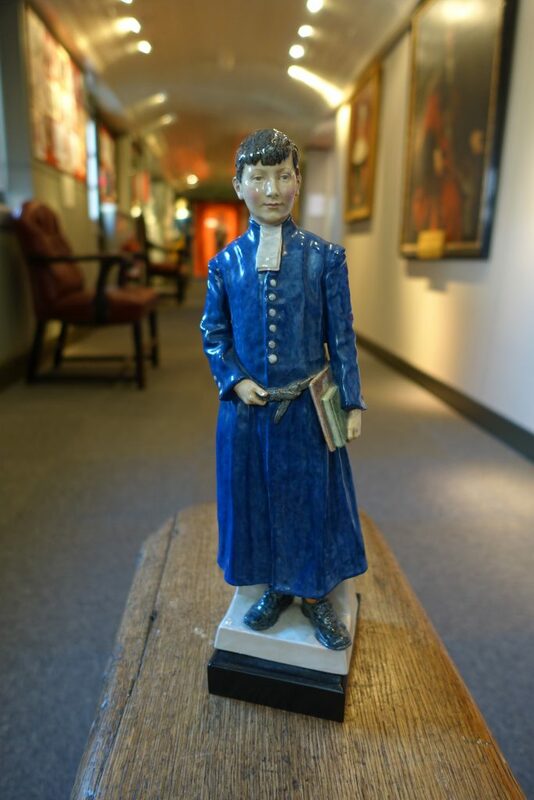 Also on display is a rare earthenware figure modelled by Harry Parr in Chelsea in 1929. It depicts a Christ’s Hospital boy wearing the famous Bluecoat uniform. The uniform has changed little since Tudor times. The long blue coat, belted at the waist is worn with matching knee breeches, yellow socks and white neck bands. It is still considered an important part of the school’s history and heritage by the students. The uniform is given to all students reflecting the school’s earliest history when clothes for the children of Christ’s Hospital were provided by the people of the City of London. Today’s Christ’s Hospital is in many ways unique offering an independent education of the highest calibre to children with academic potential from all walks of life. It is a child’s ability and potential to benefit from a Christ’s Hospital education that determines their selection not their ability to pay. The Christian character of the Foundation and School has remained a constant in the life of Christ’s Hospital for over four and a half centuries. These values are at the heart of our nation. For more than a century Christ’s Hospital has added to the richness of the Horsham District and remains a working school dedicated to preparing young people to flourish and contribute to our society in a changing world. Laura Kidner is to be congratulated on this excellent exhibition. For opening times and more information on ‘Christ’s Hospital in the 20th Century’ contact the Christ’s Hospital Museum at chmuseum@christs-hospital.org.uk or telephone 01403 247444.